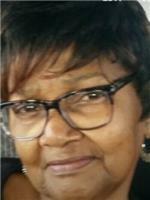 "My deepest Sympathy to your Family, Your smile and warm..."
Eva M. Varnado 72, passed away on Thursday, March 1, 2018 at Our Lady of The Lake Hospital in Baton Rouge. Mrs. Varnado was a native of Baton Rouge. Visitation will be held at Greenoaks Memorial Park and Funeral Home 9595 Florida Blvd Baton Rouge, LA 70815 on Tuesday, March 6, 2018 beginning at 5:00 pm -7:00 pm. Funeral services will be conducted on March 8, 2018 at 11:00 am. Full Gospel United Pentecostal Church 6729 Mickens Rd, Baton Rouge, LA 70811.